as of now. Only a close above 200min EMA in intraday charts will give a buy signal in nifty for the next day. 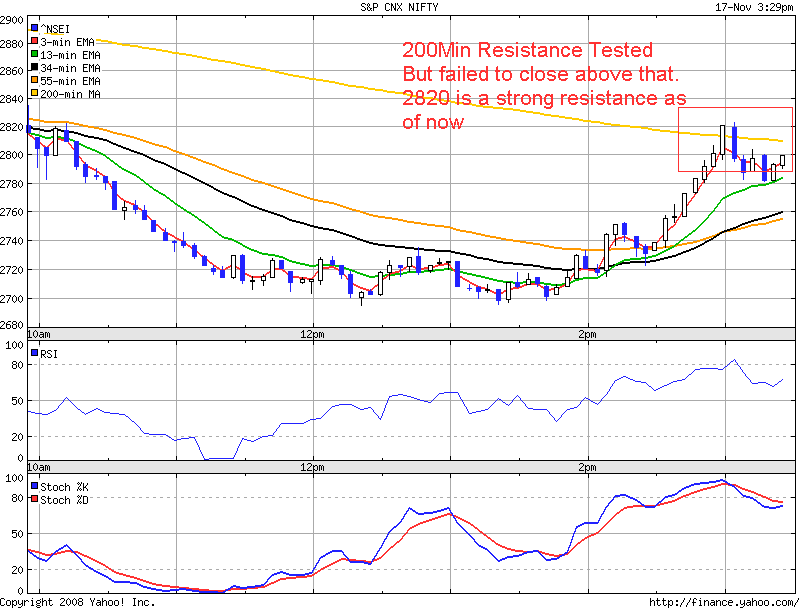 As of now 2820 remains the strong resistance for nifty. And todays Nifty close below 200 min EMA charts as per intraday charts and close below 5 EMA charts as per Daily charts indicate further bearishness to continue in nifty.